Justin Quinnell turns the inside of his mouth into a pinhole camera #ArtTuesday « Adafruit Industries – Makers, hackers, artists, designers and engineers! 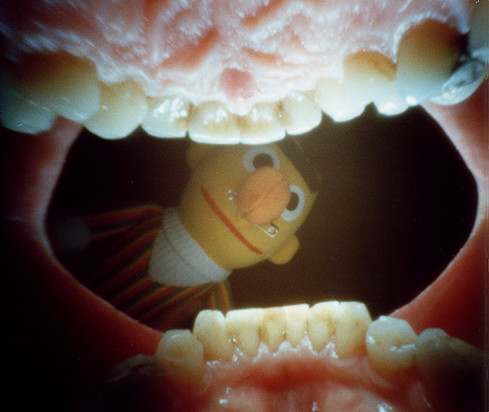 Pinhole photographer Justin Quinnell takes photographs from an uniquely personalized perspective; from the inside of his mouth. 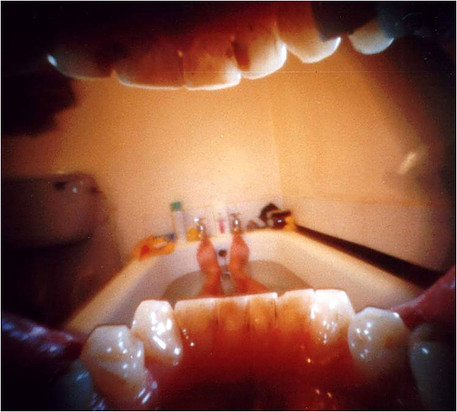 Quinnell‘s images, despite the fact that they are taken from behind a set of teeth, tend to be surrounded by the ordinary. We find ourselves as witness to routine, fun and travel, perhaps adding up to be just the followings of an every day guy. Within this series the viewer finds themselves looking at smiling babies, children’s toys, cocktails, and known monuments from around the world. From this insider’s (quite literally) perspective, the viewer is not just asked to question what is being seen, but also, what is the experience of the person, or maybe you could call him the protagonist, of this series. Who is this person and what does he think, feel? Mostly on the side of humor, his series is light hearted and fun. Their is a true air of experimentation as it can be assumed that with each photograph the artist has given up his ability to control and leaves the work up to chance and the elements in which it is surrounded by. 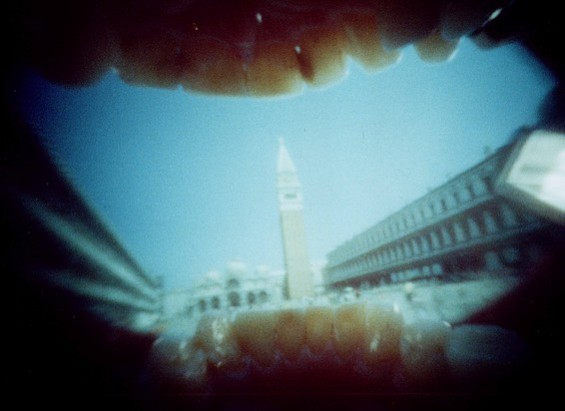 This series, titled Mouthpiece, is just one of many of his pinhole camera experiments. Each of his works has a vintage and personalized touch, allowing them to stand out and truly feel like a glimpse into the artist’s mind.